About Totolan Castle Set in a prime location of Panglao Island, Totolan Castle puts everything the city has to offer just outside your doorstep. The hotel offers guests a range of services and amenities designed to provide comfort and convenience. Service-minded staff will welcome and guide you at the Totolan Castle. All rooms are designed and decorated to make guests feel right at home, and some rooms come with internet access – wireless, internet access – wireless (complimentary), non smoking rooms, air conditioning, desk. To enhance guests' stay, the hotel offers recreational facilities such as outdoor pool, pool (kids), garden. 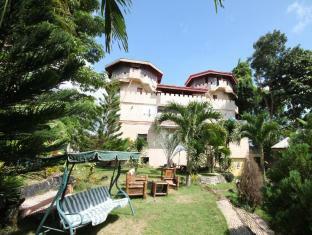 Totolan Castle combines warm hospitality with a lovely ambiance to make your stay in Panglao Island unforgettable.